Wrought iron balustrades: the ultimate fusion of function, form and necessity, with style, beauty and timelessness. Create a WOW factor or blend seamlessly with your house’s character and history. Don’t leave your home’s balustrades as a mere afterthought. As experts in bespoke design and manufacture of wrought iron balustrades here is our ultimate guide to balustrades, Brisbane style. Mention wrought iron balustrades to most people and what immediately springs to mind are visions of Victorian era semi-detached terrace houses in inner city Sydney and Melbourne bedecked with iron lacework and balustrades. But a drive around Brisbane’s inner city and suburbs quickly reveals that there is a myriad of different housing styles that traditionally include the use of wrought iron balustrades and many more that would benefit from them. 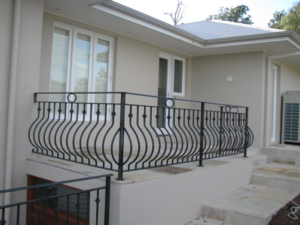 If your house has a veranda, stairs, deck or pool then you should at least consider wrought iron balustrades when renovating. Don’t dismiss wrought iron as old-fashioned because of its association with heritage and period homes. 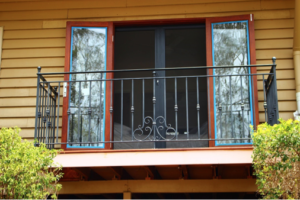 There is a multitude of reasons why wrought iron is the ideal choice of material over glass, timber or aluminium when it comes to internal or external balustrades for your Brisbane home. 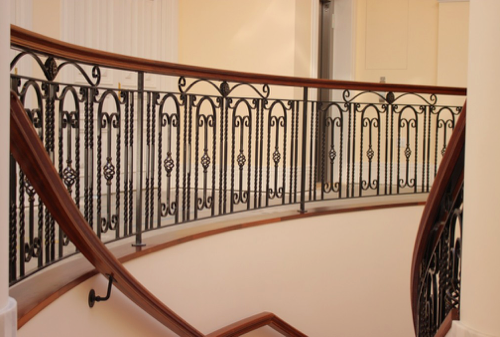 Whether your house is a heritage-listed or modern affair, wrought iron balustrades will add value and aesthetic appeal. Designer wrought iron Brisbane balustrades—unique personal style does not need to be limited by safety, form and function. Make a statement with your home’s balustrades. These double- and triple-fronted brick veneer homes are one of the most common styles of home in Brisbane, indeed throughout Australia. Built from around 1939 to 1950, this style of house tends to be viewed primarily as a renovation opportunity and has no real heritage value—yet. Wrought iron balustrades with vertical steel posts and fencing painted white are a common feature of this type of house. If you’re renovating a post-war style home why not do your home justice by paying homage to the era with a modern take on the post-war style of wrought iron vertical repetitive design balustrades—just leave out the white paint. Victorian-style housing typically brings to mind the terrace housing from the 1850s in inner-city Sydney and Melbourne. Victorian terraces are a much rarer sight in Brisbane due to the construction of attached buildings and stone houses being legislated against and enacted in 1885 as an anti-slum and public health measure. Despite this there are a few pockets of Victorian-style housing to be found in Brisbane, notably in Milton and West End. During the 1980s and 1990s, replica-style Victorian housing and terraces became popular for a short time with developers. Queensland, and Brisbane in particular, developed its own distinctive architecture during the Victorian era circa 1840s—the iconic Queenslander. If you’re lucky enough to be looking at renovating or updating a Victorian-style home, wrought iron is an authentic and essential component of this style. Alongside highly decorative wrought iron lacework, wrought iron balustrades feature heavily, often with a timber-top rail. The classic and iconic ‘Queenslander’ style of house, which emerged in the mid-nineteenth century to better suit our subtropical climate, is a familiar sight around Brisbane. Veranda balustrades are traditionally made from wood or wrought iron. 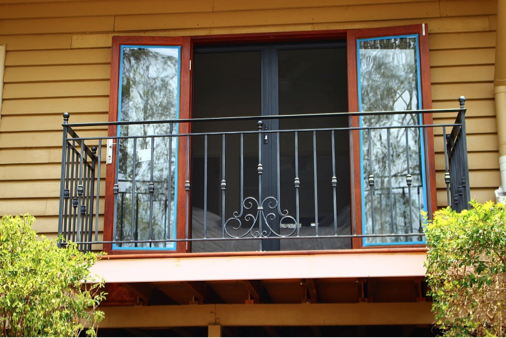 If you’re renovating or restoring a Queenslander home, choosing wrought iron balustrades in the Brisbane climate makes sense—wrought iron outlasts wooden balustrades and is virtually maintenance-free. 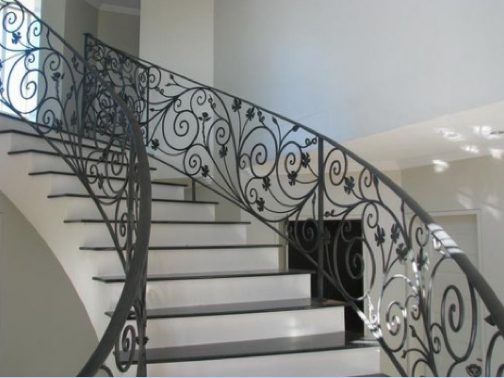 Wrought iron balustrades used for stairs and veranda also add a touch of prestige to a home. If you’re looking at adding an art deco flare to your Brisbane home renovation then you can’t go past wrought iron balustrades with their clean simple lines and geometric shapes. 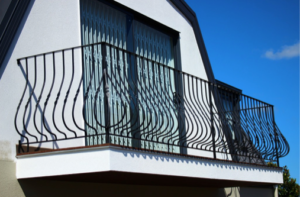 Use art deco inspired wrought iron balustrades for verandas, stairs and patios, or around your pool for a sense of sophisticated, elegant and timeless appeal. Renovating or building a modern house? 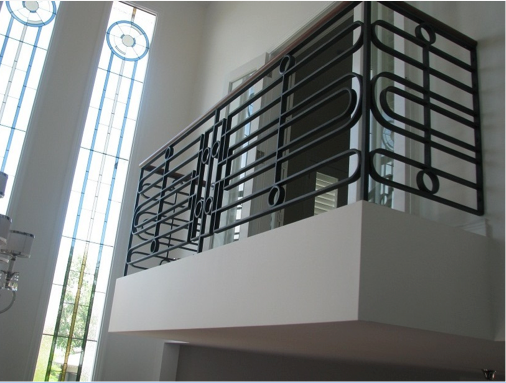 Why not turn your balustrades into a statement piece. When you choose balustrades made from wrought iron, you’re limited only by your imagination when it comes to design. Draw inspiration from the geometric forms of the art deco movement through to the intricate linear designs and flowing forms of art nouveau. 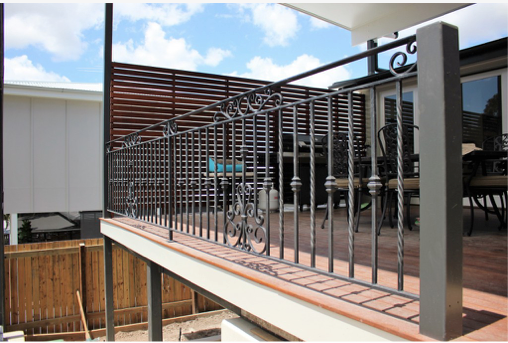 Wrought iron is particularly suited to the Queensland climate; being nearly impervious to the damaging effects of moisture, sun and wind, and with very little required in the way of maintenance, wrought iron is perfect for balustrades in Brisbane. 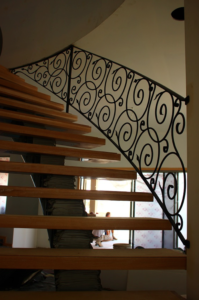 Turn a staircase balustrade into a bespoke work of art and transform a veranda or patio balustrade from merely functional to a hand-forged heirloom. 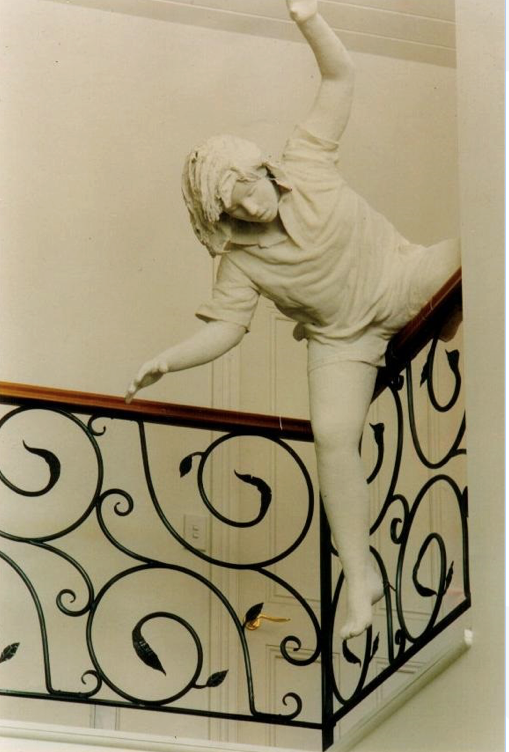 Quirky, bold, timeless or elegant balustrades; the choice is yours. 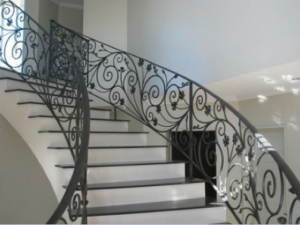 Whether you’re looking for a completely new and original design for your Brisbane home’s balustrades, or you need to match the design with other wrought iron work in a period or heritage-listed home, choosing qualified, experienced and master artisans such as the blacksmiths at Dean Wilson Iron will ensure the perfect match to your home’s existing or revamped style. Get in touch with one of the team at Dean Wilson Iron today. 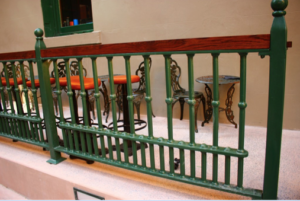 They can offer advice on creating custom designs or matching existing ironwork. With over 20 years’ experience they’ll work with you through all phases—from inspiration to design, manufacture to installation. Without a doubt, Dean Wilson Iron are the unsurpassed experts in the design and manufacture of wrought iron balustrades. 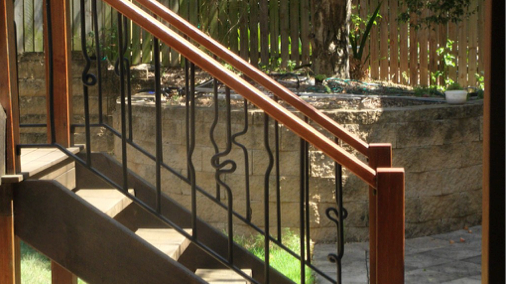 Brisbane and Queensland’s award-winning wrought iron specialists are just a phone call away on 07 3814 0076.